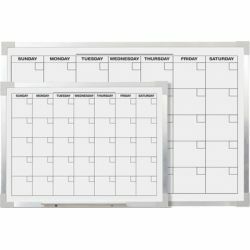 Catalog Home > Aluminum Framed Magnetic Calendar Board, 18" x 24"
Aluminum Framed Magnetic Calendar Board, 18" x 24"
Our dry erase magnetic calendar makes keeping track of dates, holidays, and special events a fun classroom activity! 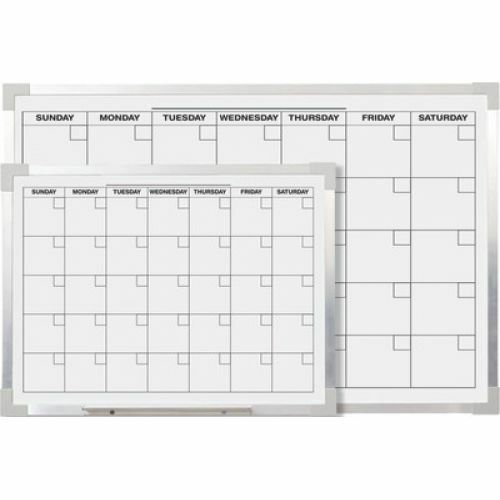 Use dry erase markers to fill in the boxes to follow the days, weeks, and months of the year. Magnetic and aluminum framed. Measures 18" x 24".